Beautiful cosy place, nicely furnished with attention to detail, super clean, with well equipped kitchen, fireplace and with a nice terrace. Great location - with amazing view over the valley, away from the crowds, but comfortable walking distance to the centre of the village, cross country skiing or tobogganing park. Friendly and helpful host. Smooth check-in without any waiting. L’acceuil chaleureux. La vue et le grand jardin pour mes enfants. Великолепное место для уединенного отдыха на природе с комфортом. Чистый воздух, великолепный вид, Женевское озеро в 30 минутах езды на машине не спеша (Монтре, Шильонский замок). в 15 минутах по дороге к Женевскому озеру городок Эйгль со своим замком и винзаводом, местные вина интересны, есть даже игристые. неплохое катание на лыжах в Лейсене для начинающих. Место нашли с первого раза, предварительно посмотрел на спутниковых картах как туда добраться, да и навигатор не подвел. Очень удобная кухня. 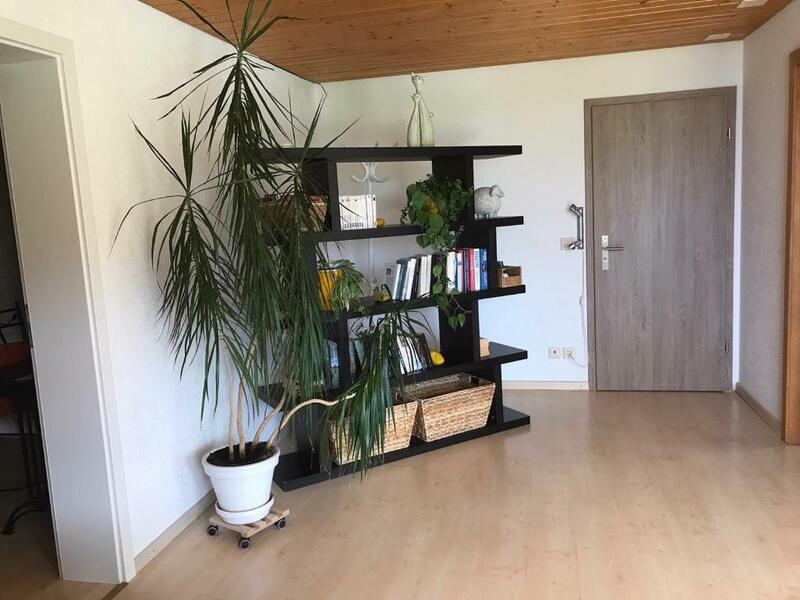 Sehr schöne Wohnung mit viel Ablageplatz. Nette Vermieterin, spricht leider nur französisch und englisch (kein deutsch). 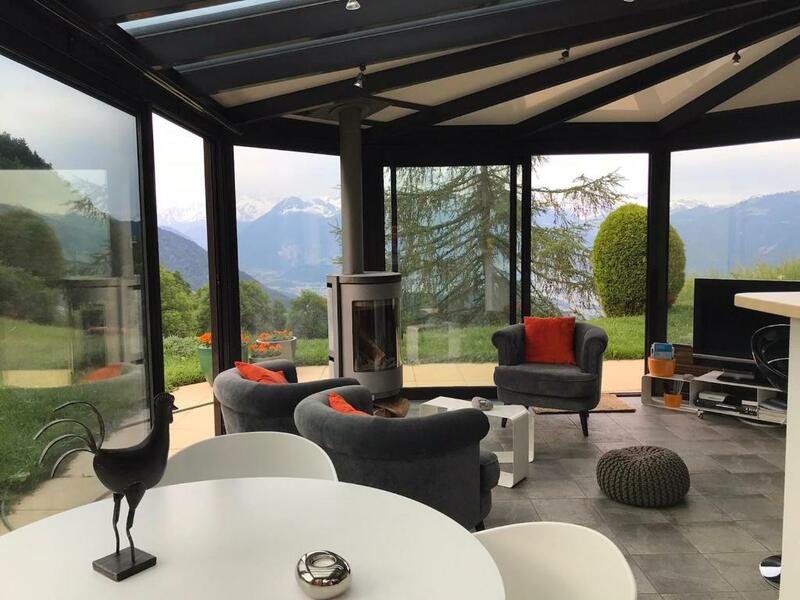 Das Highlight der Wohnung ist das Wohnzimmer mit integrierter Küche, das ein Wintergarten mit Komplettverglasung ist, von wo man die herrliche Aussicht auf die gegenüberliegenden Berge und das Rhonetal genießen kann. Für die Veranda vor dem Wintergarten sind gute Gartenmöbel vorhanden. Gegenüber dem Stil der restlichen Wohnung, die sehr gut eingerichtet ist, fällt das Bad leider deutlich ab. Es ist aber okay und funktionell. Понравилось все! До супермаркета не далеко, вид шикарный!!! Наша собака даже не хотела уезжать из этого места! Очень рекомендуем!! Excellente situation, vue. Appartement propre, confortable et bien équipé. Lock in a great price for Chalet Les 4 Feuilles – rated 9.5 by recent guests! This traditional mountain chalet in Leysin offers panoramic views of the Dents du Midi Mountain Range and of the Trient Glacier. 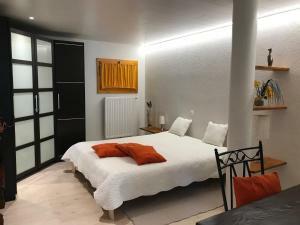 Free Wi-Fi and parking are available at Chalet Les 4 Feuilles. 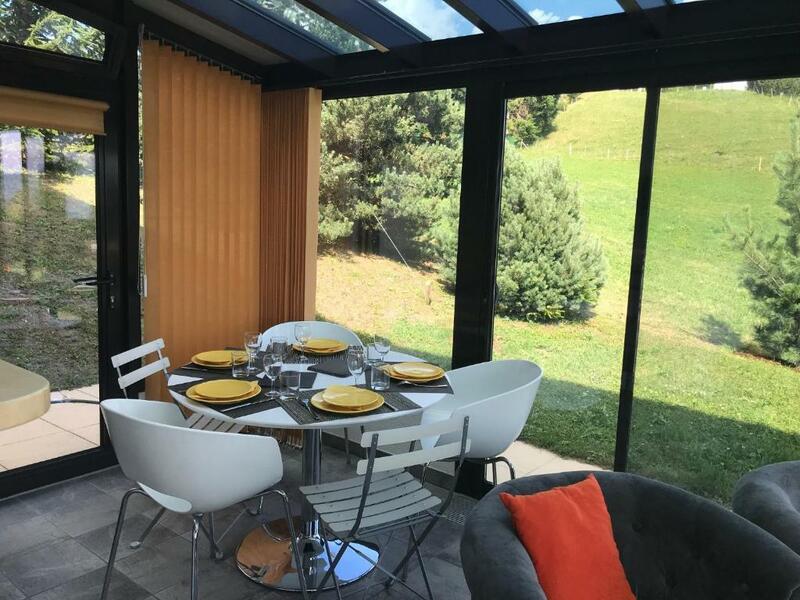 The chalet features a winter garden with a modern kitchen, a dining area and a lounge with a Swedish stove, a living room with a sofa, a bedroom, a bathroom, and a terrace. The living room includes a fireplace, satellite TV, CD and DVD players, video games, and a hi-fi system. A ski storage room is also available. The ski bus stop is 1,000 feet away, and the slopes and ski elevators are 0.9 mi from the 4 Feuilles. 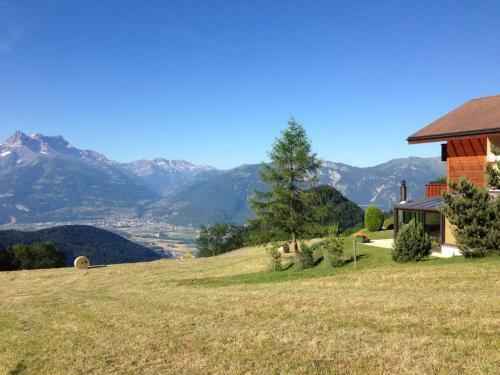 The center of Leysin, including tennis courts and swimming pools, is 2,650 feet away. The nearest shops are 1,000 feet away. 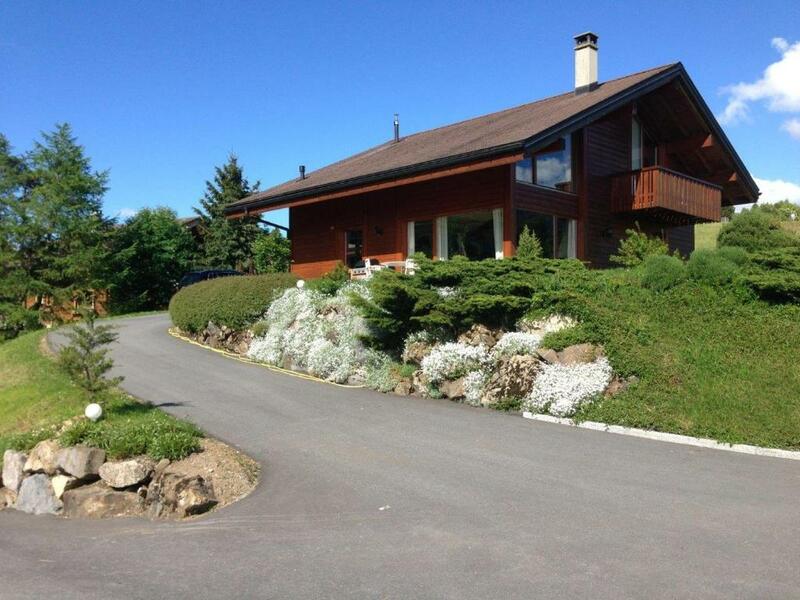 This property also has one of the top-rated locations in Leysin! Guests are happier about it compared to other properties in the area. 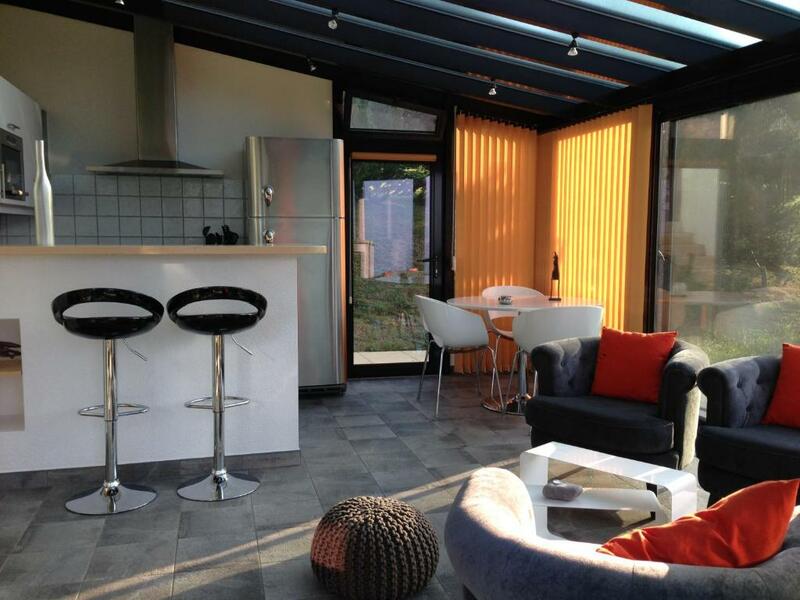 When would you like to stay at Chalet Les 4 Feuilles? Bedroom, living room, modern kitchen with dining area, bathroom, and terrace. The living room includes a fireplace, satellite TV, CD and DVD players, video games, and a hi-fi system. 15'000 m2 de terrain en pente douce directement à la sortie de l'appartement pouvant servir de piste de luge en hiver ou de terrain de jeu en été. Appartement totalement indépendant. 15'000 m2 de terrain en pente douce directement à la sortie de l'appartement peuvent servir de terrain de jeu ou piste de luge en hiver. House Rules Chalet Les 4 Feuilles takes special requests – add in the next step! Please inform Chalet Les 4 Feuilles of your expected arrival time in advance. You can use the Special Requests box when booking, or contact the property directly using the contact details in your confirmation.